Former Kotaku intern Andrew Freedman is making us proud at his university's daily newspaper. 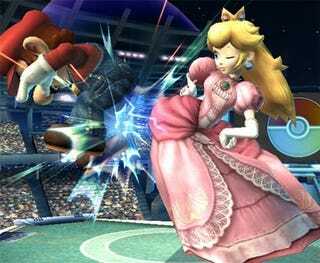 Check out his latest piece on "The Peach Bowl," a college charity Smash Bros. tournament. Courtney Whitmire, a freshman at the University of Maryland, suffered tragedy this year when flooding wiped out her house and most of her small town in Georgia. Working together with people in her dorm, Whitmire and some other students organized a tournament that would donate its buy-in money to flood relief efforts in her hometown. "It clicked all of a sudden," sophomore English major Quinn Hargitai said. "We love to play Smash Bros. - we play it all the time. We never study." It's an awesome idea and a fine bit of reporting on our ex-intern's part. It seems like only yesterday Freedman was updating our massive photo galleries and checking my spelling. They grow up so fast!